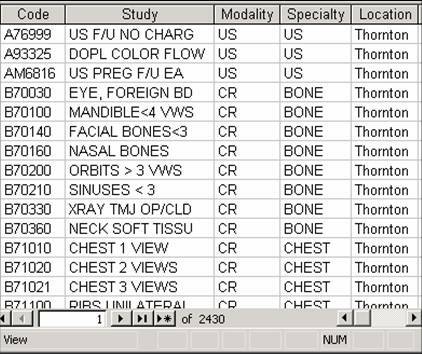 The installation and implementation of a hospital wide image management system has been reported to have a positive impact on radiology report turnaround time and has significantly reduced, but not eliminated the “lost film” and “missing report” problem. To find the cause of “lost films” and “missing reports” in a filmless environment is important to follow each step of an imaging exam from the time a patient is schedule to the time a final report is signed. 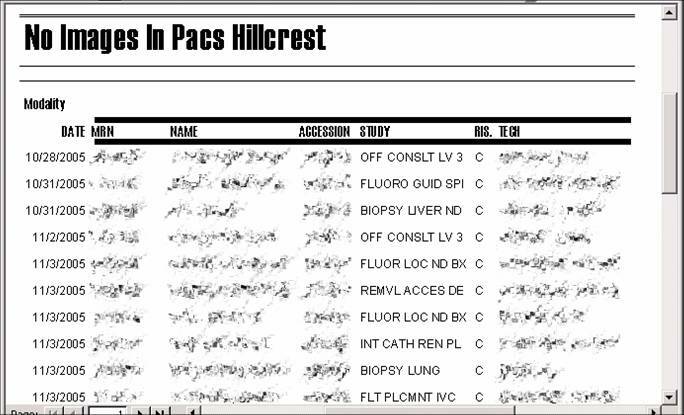 Comparison of the status changes in RIS (Radiology Information System) and PACS helps in identifying where a breakdown occurred and who is responsible to fix the problem (receptionist, technologist, PACS/RIS manager, transcriptionist, radiologist). If the wrong exam is scheduled or the patient refuses the exam the exam is cancelled. The RIS status changes to “Cancelled”. A report is generated from RIS with the list of studies older than 48 hours with a status different than “Final”. 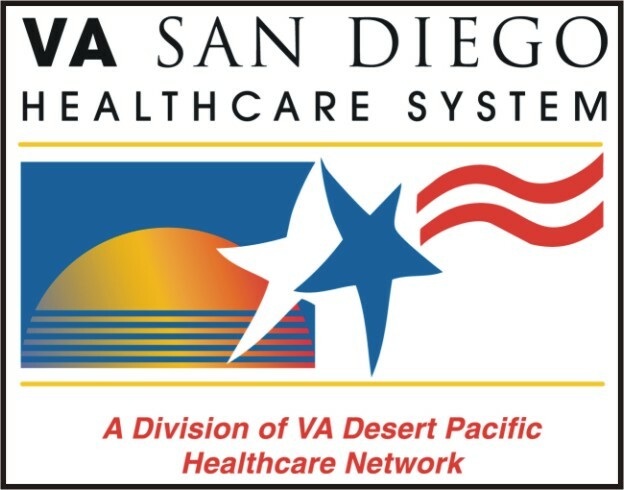 For each study in this report, the RIS status is compared with the PACS status. From the comparison of the RIS and PACS status is possible to determine, where a problem occurred and who is responsible to fix the problem. 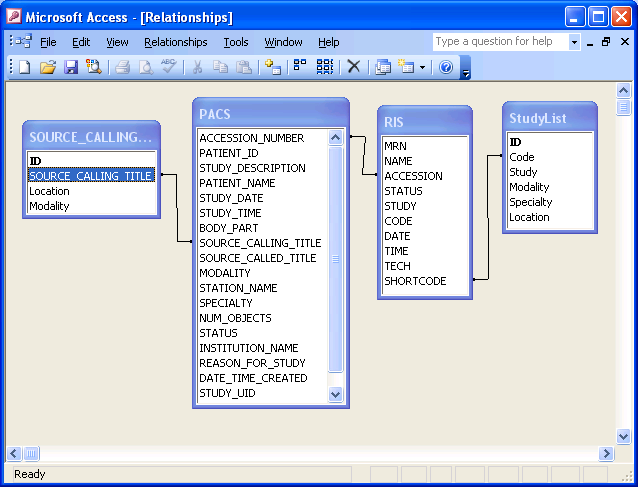 Although there are 42 possible combinations of statuses in RIS and PACS, problems can be grouped in 8 groups. 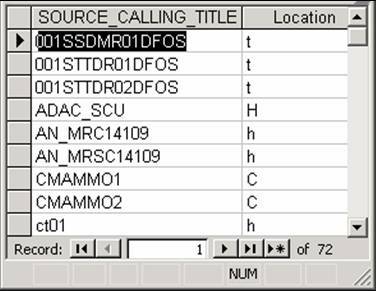 "Manually comparing the status changes..."
Manually comparing the status changes in RIS and PACS helps in identifying where a breakdown occurred and who is responsible to fix the problem, but is very time consuming. To expedite this process, we have developed an application that at scheduled intervals automatically compares the status changes in RIS and PACS and automatically generates reports of the problem cases. 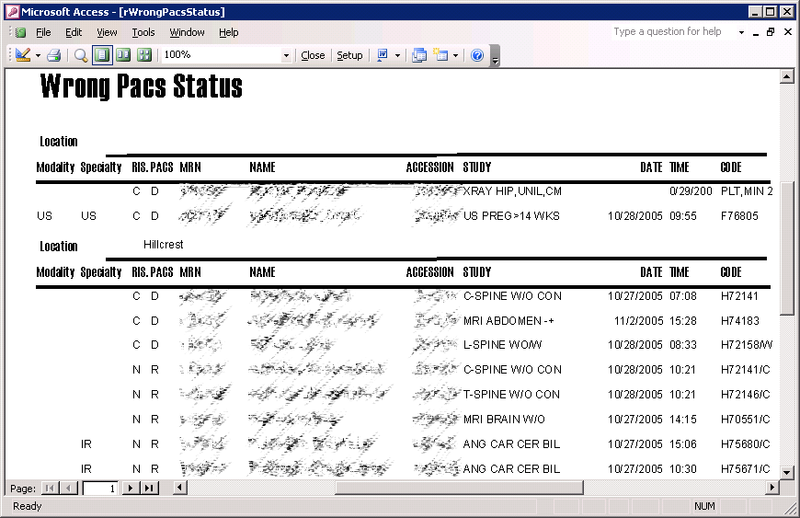 These reports are automatically printed on designated printers or emailed to the responsible parties. The report is not signed. The radiologist need to sign the report. 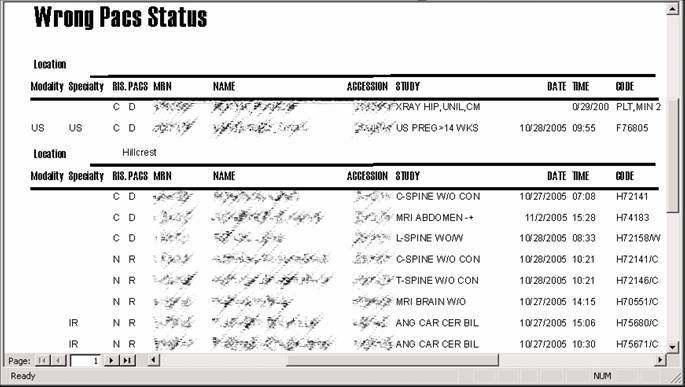 The radiologist did not dictate a report or the radiologist did not receive the images. 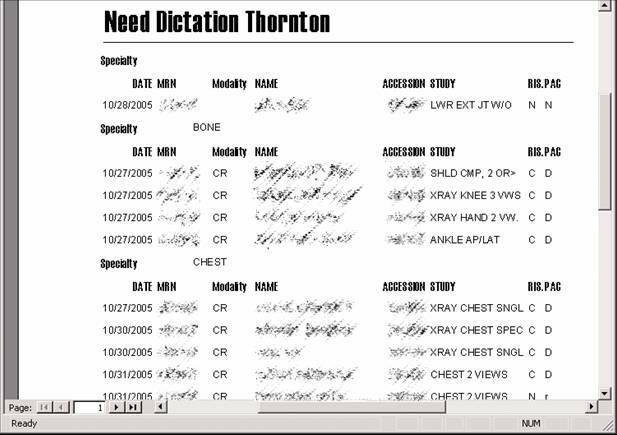 Radiologist need to dictate a report. PACS administrator need to make sure that the study is sent to the appropriate radiologist. Dictation is not transcribed or the dictation is missing. Transcriptionist need to type the report. If dictation is unavailable (status toggled to “dictated” by mistake or dictation is lost). -PACS administrator need to change status in PACS back to “New”. 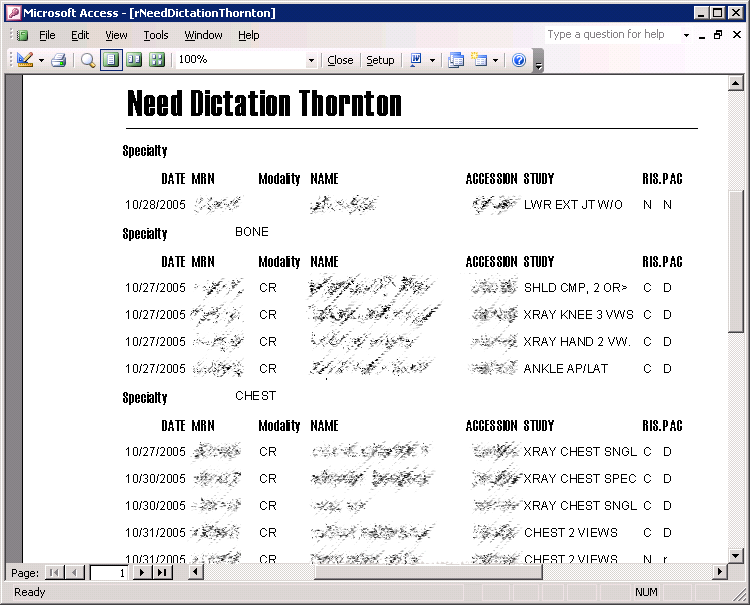 -Radiologist need to dictate a report. 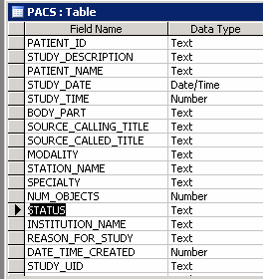 Status toggled by mistake in PACS or report entered by mistake in RIS and removed from RIS but status not updated in PACS. PACS administrator need to change status in PACS back to “New”. There are no images for a study. Technologist needs to send images to PACS. Technologist needs to cancel study in RIS. A study remains in scheduled status. 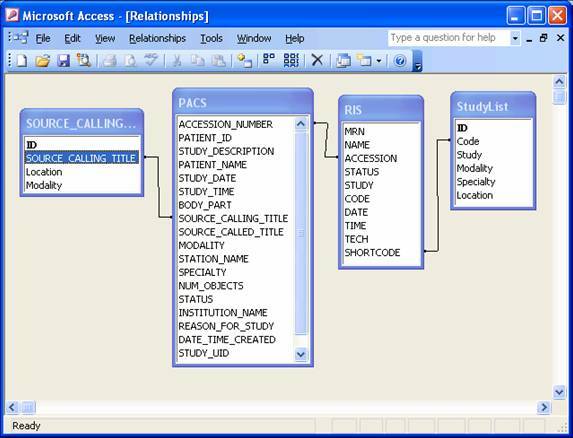 Technologist needs to toggle the study to complete in RIS and send the images to PACS. Technologist or receptionist needs to cancel study in RIS. Images are in PACS for a study that is cancelled in RIS. Either the study was cancelled by mistake after the images were obtained or the images are associated to the wrong study. 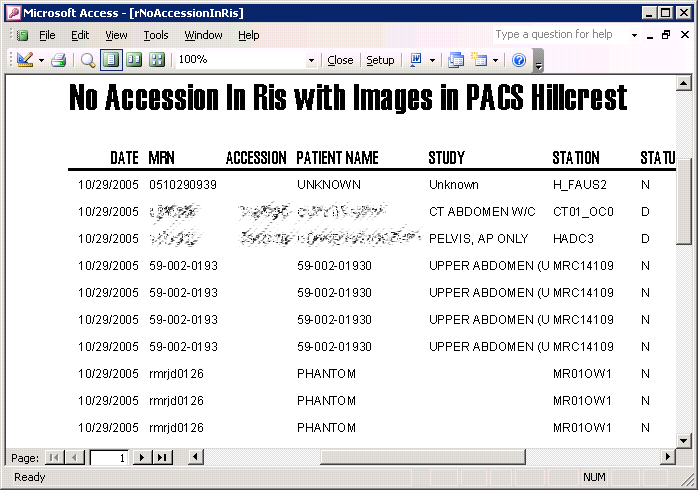 If the study was cancelled by mistake after the images are obtained the technologist needs to enter a new study in RIS and associate the images in PACS to the new study. If the images were associated to the wrong study, the technologist or PACS administrator need to associate the images in PACS to the correct study. 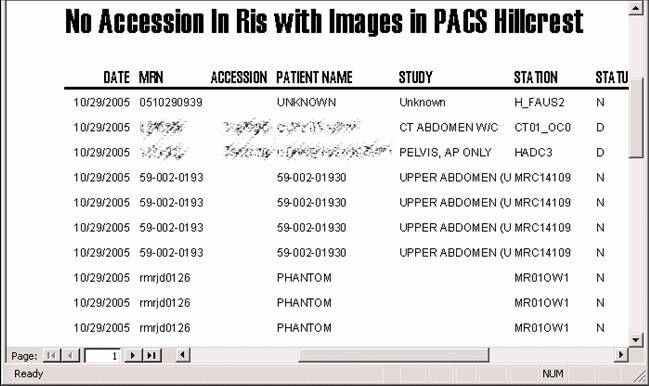 There are images in PACS that do not correspond to any study in RIS. Often these images do not belong to patients but are of phantoms or research subjects. If the study was performed on a real patient, receptionist/technologist needs to enter a study in RIS. Every day at 6 am information on exams performed in the past 2 weeks are extracted from both RIS and PACS using capability built in RIS (Idxrad) and PACS (Agfa). 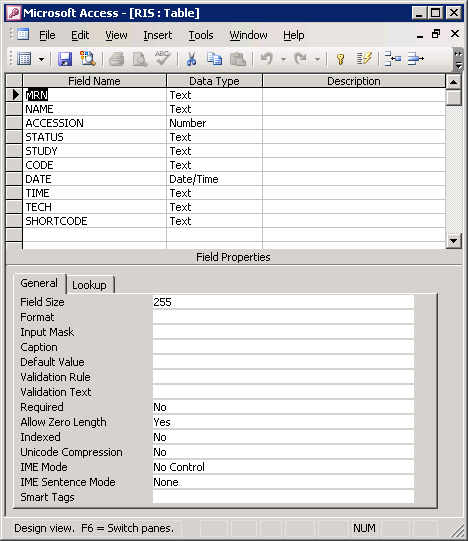 The data are saved as text files and transferred to a designated server. 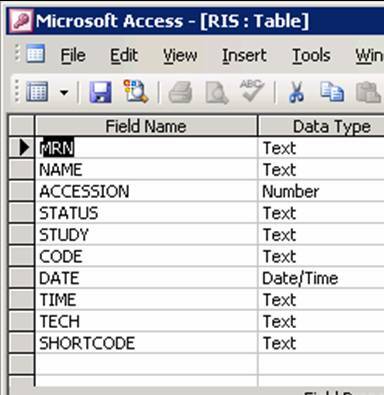 Using Visual Basic for Applications the text file created by RIS and PACS are automatically imported into a Microsoft Access database. It is used to determine the location where images were taken. 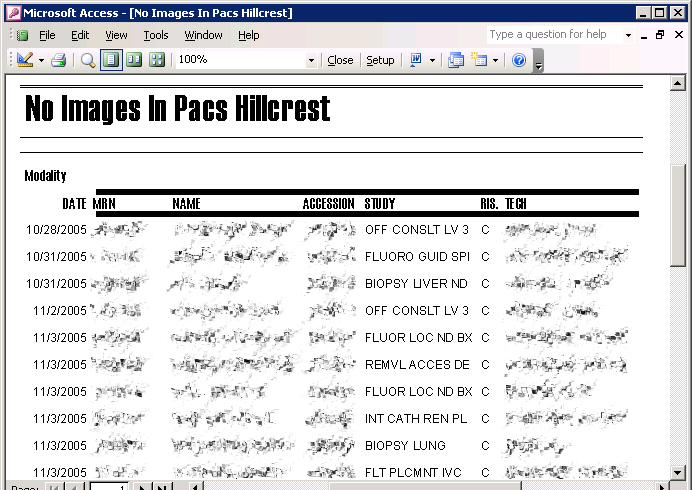 studies with images in PACS and no accession in RIS sorted by modality and location. 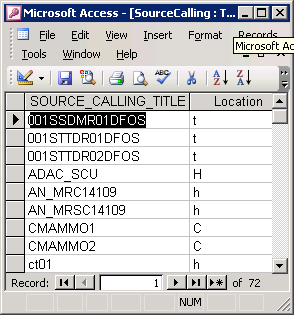 Worklists of studies that need dictations are also automatically generated. 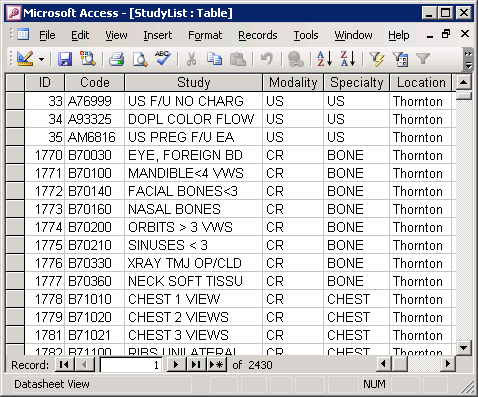 Worklists can be emailed, as they contain only the study unique identifier and no protected patient information. The reports are not emailed as they contain patient names. When trying to solve the "lost film” and ”missing report" problem, comparison of the status changes in RIS and PACS helps in identifying where a breakdown occurred and who is responsible to fix the problem. Comparing the status changes in RIS and PACS is very time consuming, if done manually. 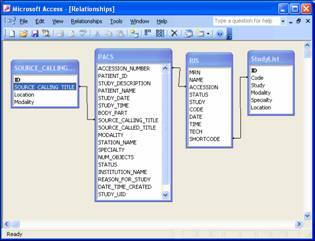 Using a database application that at scheduled intervals automatically compares the status changes in RIS and PACS and automatically generates reports of the problem cases, reduces significantly the time spent for fixing problem cases. Hayt DB, Alexander S. The pros and cons of implementing PACS and speech recognition systems. J Digit Imaging. 2001 Sep;14(3):149-57. Hayt DB, Alexander S, Drakakis J, Berdebes N. Filmless in 60 days: the impact of picture archiving and communications systems within a large urban hospital. J Digit Imaging. 2001 Jun;14(2):62-71. Mehta A, Dreyer K, Boland G, Frank M. Do picture archiving and communication systems improve report turnaround times? J Digit Imaging. 2000 May;13(2 Suppl 1):105-7.